It is extremely important to get the correct valuation. Some agents will over value your home just to get it on the market. By pricing a property too high you will not be able to capitalise on the earlier interest when a property initially comes to the market. Most buyers will ask how long a property has been on the market and are less likely to offer a good price if your property has been over priced on the market for too long. It is essential to get a realistic valuation – not too high but equally not too low. As agents we work for the seller and will achieve the best possible price for your property. At our free market appraisal you can ask our expert any questions regarding the value of your property and we will of course show you how it was attained with clear comparable evidence. Once you have instructed us to sell your property we will arrange a full marketing visit. An assortment of professional photographs will be taken, bespoke details prepared of your property to ensure that the salient features of your house are reflected and a floor plan compiled. All these marketing features will be entered onto our computerised sales system which will automatically upload to external property portals (including rightmove.co.uk) and our own website. Once your property is instructed our bespoke computerised sales system automatically matches your property to registered buyers and will Email and SMS within minutes of coming to the market. We then phone out every new property to matched buyers to ensure that your instruction is marketed effectively and as soon as possible. This has to be ordered before we can market the property,so let us take the stress away from you and organise it on your behalf. It is very important that your property looks as good as it possibly can for viewings, and that your agent is very proactive to maximise viewing opportunities. We will be happy to accompany any viewings for you, if this is what you would prefer. We will always give you fast and honest feedback from any viewings. As soon as an offer is received from a potential buyer we will notify you verbally and in writing and can also advise you on whether to accept or decline the offer, however, the final decision will always be yours. When you have agreed to sell at the offered price we write to all parties with a memorandum of sale. You will need to instruct a solicitor to undertake the legal work on your behalf . We will always advise you and negotiate on your behalf throughout the whole process. Any paperwork that is requested by your solicitor should be returned a soon as possible in order to keep the process moving swiftly. 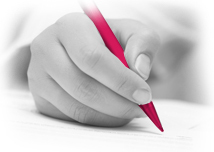 Your solicitor will send a draft contract, together with the EPC to the purchaser’s solicitor. Once the purchaser is happy that all queries have been answered regarding the property, then you can move on to the next stage. Once the contract is signed by both parties, a mortgage offer has been made, all enquiries answered and searches have been received, the deposit is then transferred to your solicitor from the purchaser. Exchange of contracts will then take place and a date is set for completion of the sale. Once exchange of contracts has taken place then completion should take place within a few days or a predetermined date. This depends on the solicitor and other people in the chain. On completion of the sale all monies owed are transferred to your solicitor’s account and once these monies are received you will then need to vacate the property, as the purchaser will then legally own it.